These days if you want to play games, you would need a really high spec laptop or PC, which can run up to extremely high costs if you like playing your games as they should be played, on ultra. There is a way around with cloud gaming, where all the computing and the gpu’s are located in the cloud and the game is simply streamed to your personal screen, wherever you are. Convenient, simple and without strings attached. Well that’s if it was really unlimited, as most of the cloud gaming providers charge by the hour. We’ve taken the hard work of research upon us to come up with a solid list of actually unlimited cloud gaming providers curated from information found on Zahipedia, so you can keep gaming on, without thinking about the hours and additional costs. You all know NVidia, the giant corporation responsible for making a few of the best GPU’s around. Everyone knows Nvidia as one of the top providers, so this is pretty much a safe bet all around. They’ve outdone their self with their latest beta of NVidia Geforce now, which is free of cost and supports over 200 gaming titles as of now. You can go ahead and sign up for the beta on their website. A newcomer to the scene but with handsome PC stats such as 12GB DDR4 ram an NVidia Tesla GPU and Xeon processors to boot. At just $26.99 this does not break the bank and allows you to stream any Steam or battlenet games you have purchased. Choose this if you need the flexibility and are a Steam gamer. A cool name for cool gamers, I mean which gamer does not like creeping in the shadows of their gameworld? This provider charges just $34.95 and is available in all of Europe as well as California. Users reported one of the lowest pings and the one of the most responsive cloud gaming platforms they have encountered. Go and try it out and let us know in the comments! 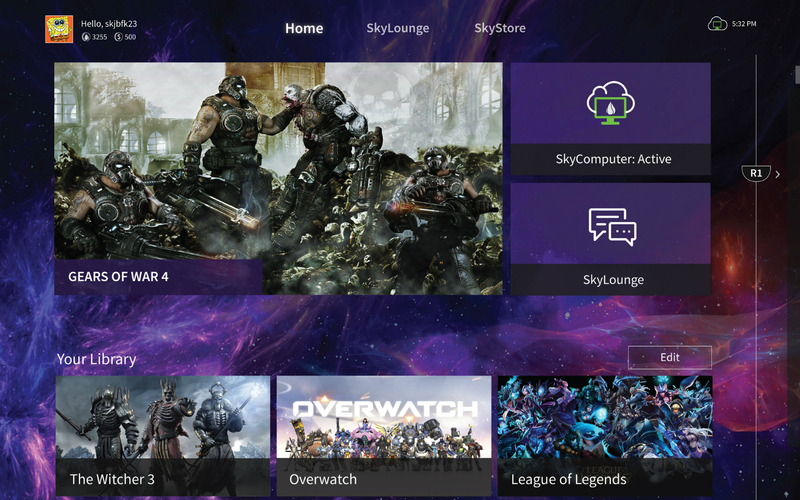 Playkey takes cloud gaming to a whole new economical level. The basis of their platform is just like the blockchain of cryptos and has some semblance to torrenting. It’s basically a p2p system where one can rent out their gaming system to others and make money doing so. To avail of their network as a gamer, it is quite expensive, think $69.99 expensive which is a tad high IMO. Other than that, they are only available in Europe with possible expansion to the US by 2019. So if you still have that extra gaming computer laying around, you may wish to use their service and let it run for others to get back some of your cost. PaperSpace is quite popular despite the soaringly high prices of $199 a month and mostly per hour pricing. Their systems are based on the Nvidia Quadro P4000 GPU’s while rocksolid are also extremely expensive for most people.